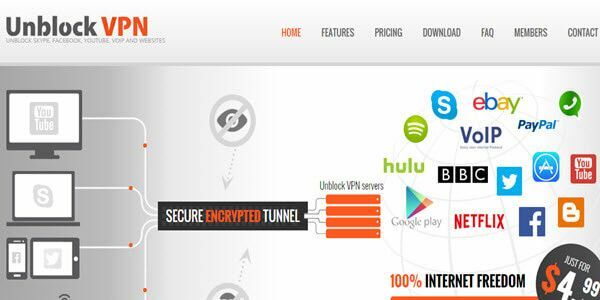 UnblockVPN is a pretty much reputable VPN service provider that was established in 2009 by a company based in the Czech Republic. UnblockVPN offers internet security services in the USA, England, Slovakia, Sweden, the Netherlands, Israel and the Czech Republic. The program offers both dedicated as well as dynamic IP addresses to companies in the mentioned countries. The greatest advantage of this VPN service is that it is considerably cheap, compared to its competitors. With this service, you will have access to multiple connections. The service prides itself in fast connection speeds. However, the service can have misguided bandwidth limitations and less number of VPN servers than other VPN providers. VPNs are all about providing online security and privacy. A reliable VPN service should allow you to access any content on the Internet. The privacy is achieved by encryption of all your online resources. Virtual Private Networks modify your IP address granting you limitless access to web content and secure your content from hacking activities. Globally, individuals and organizations have realized the importance of VPNs, especially in avoiding monitoring by authorities. 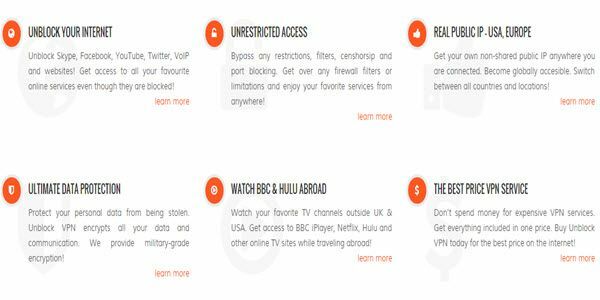 UnblockVPN provides all these services. 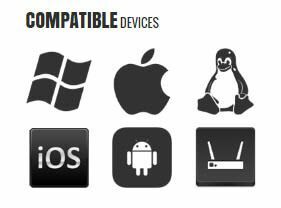 UnblockVPN is compatible with most of the common operating systems. 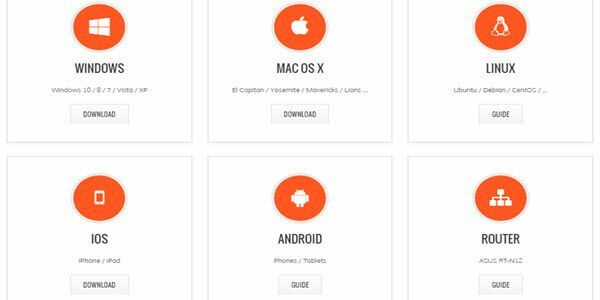 For this reason, it is compatible with most desktop computers, laptops, MacBook’s and portable devices such as Android phones, iPads, tablets, and iPhones. With UnblockVPN, you will be in a position to configure your devices to the protocol of your choice. UnblockVPN supports all protocols supported by VPN servers. 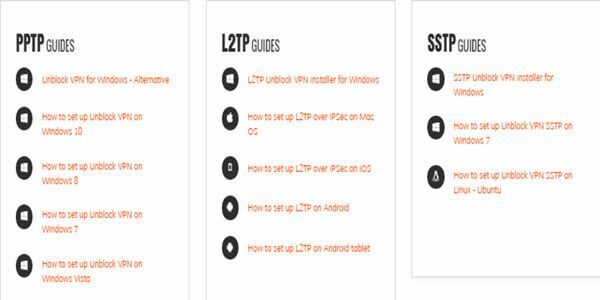 These protocols are PPTP, L2TP/IPSec, Open VPN and SSTP. UnblockVPN has several plans that offer both dedicated and dynamic IP addresses. Plans which offer dedicated IP addresses start as low as $9.99 per month. 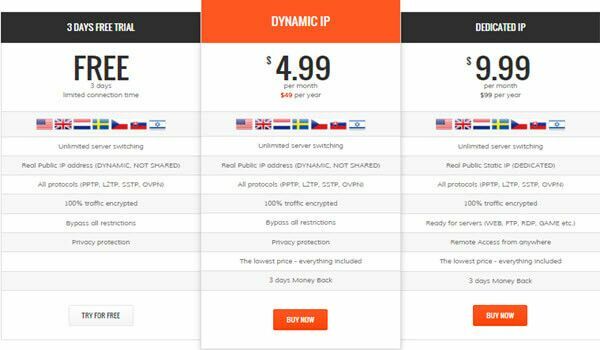 Plans that offer dynamic IP addresses start from a low fee of $4.99 per month. The company is generous enough to provide you with a 3-day demo that is accessible for 5 minutes for a maximum of 5 sessions in a day. It is always a good idea to test the plan before purchasing to avoid the inconveniences of return policies. UnblockVPN offers a wide range of payment options. You can pay for the services using credit cards, Skrill, PayPal, bank transfers and WebMoney. The UnblockVPN website is user-friendly and allows members to access their accounts. A plus for the website is that it has a blog where new customers can get helpful information about the offered services. The website is also available on mobile browsers (mobile friendly). UnblockVPN software or application for the various compatible operating systems can be downloaded from their website. You simply have to click on the download link, and then install it after the download is complete. The performance of UnblockVPN is above average. It offers high-speed connections for both dedicated and dynamic IP addresses. There are few, if any, disconnections once you start using the connection. The customer support of the service is email-based. The company’s customer support staff replies to customers queries within 24 hours. The FAQs on their website can be equally helpful. UnblockVPN provides an opportunity to resell its products to your customers. It provides a special discount package to the customers. One of the best features of the reseller program is that you can create any number of sub-accounts and manage them within the reseller dashboard or using API for simple implementation in your own system. Virtual Office Solution – With the help of this feature your employees will securely share the files and get the real IP address for all employees which are connected to the VPN. Non-shared IP – Another great feature offered by UnblockVPN is non-shared IP. The VPN provides only real public IP address to each user. Access to online TV Solution – Many VPNs are not able to unblock Hulu, ABC, BBC iPlayer and other online TVs, however, UnblockVPN is still able to unblock the mentioned TV channels. It is only fair to recognize that UnblockVPN is a pretty much reliable solution for internet security. Even though the company has a few servers, the connection speeds and bandwidth limitations are impressive. It is affordable and reliable at the same time. If you are in need of VPN services, it is worth checking out UnblockVPN. Creating Strong Passwords: Which Password Strategy is the Best?